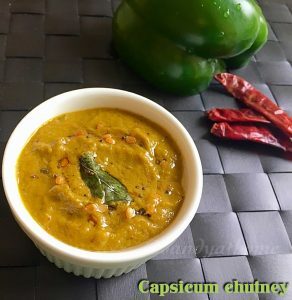 Capsicum chutney is a spicy and tangy chutney with cilantro flavor is prepared by grinding sauteed onion, tomato, capsicum and cilantro into paste. 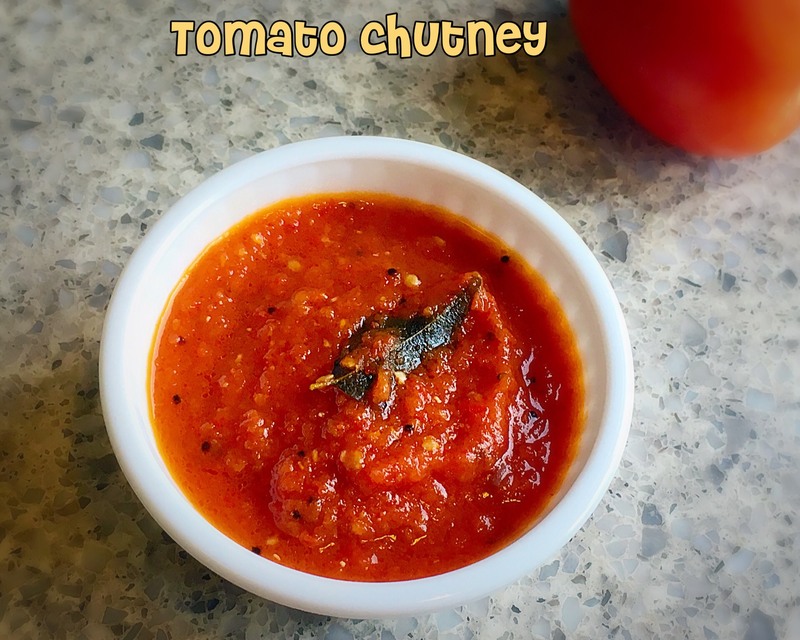 This chutney has very appetizing color and is also quick and easy to make. 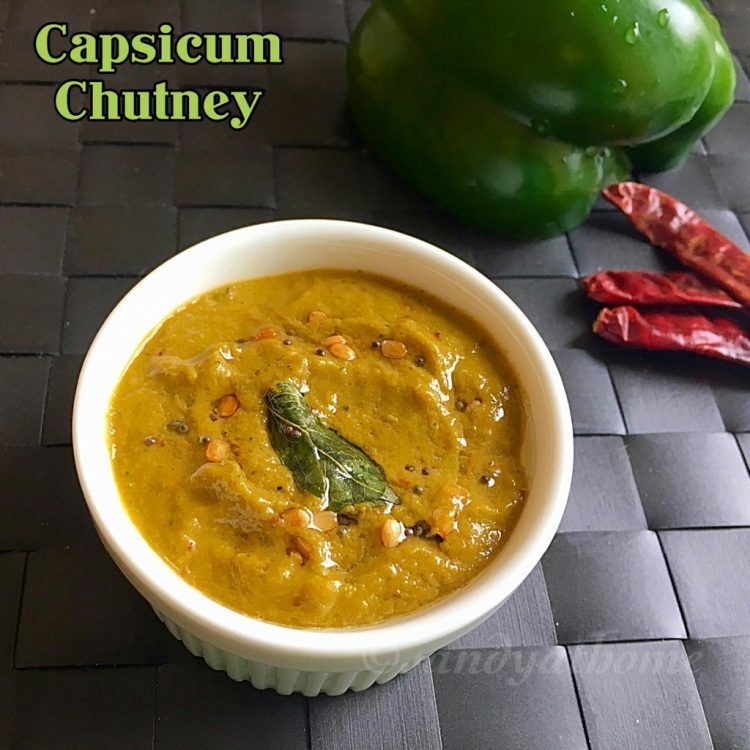 Capsicum chutney can be made any day as it goes well with any dosa and idli. 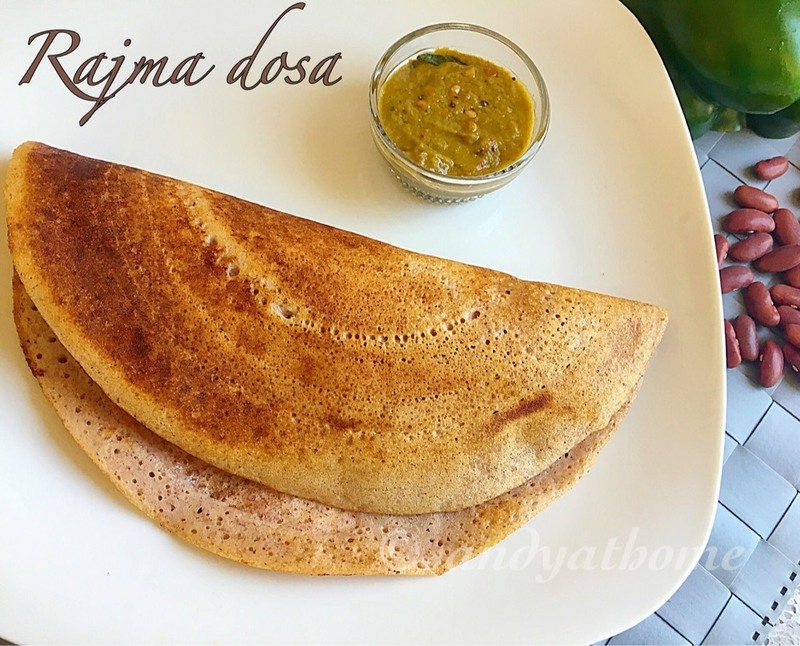 I usually prepare capsicum chutney when I make rajma dosa at home as they make a very good combo. So lets get to the making! Heat oil in a pan add dried red chili when aromatic add onion and saute well. Then add chopped tomato and salt. Saute well until the raw flavor of tomato goes. 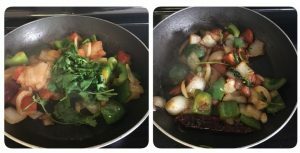 Now add capsicum and mix well then add cilantro and saute everything well until the capsicum is cooked ( no need to add water). Finally add tamarind piece and saute for a minute and put off the flame. Allow this mixture to cool down. Now transfer the cooled contents in a blender and grind it into fine paste. ( I dint add water while grinding but you can add little if you need). 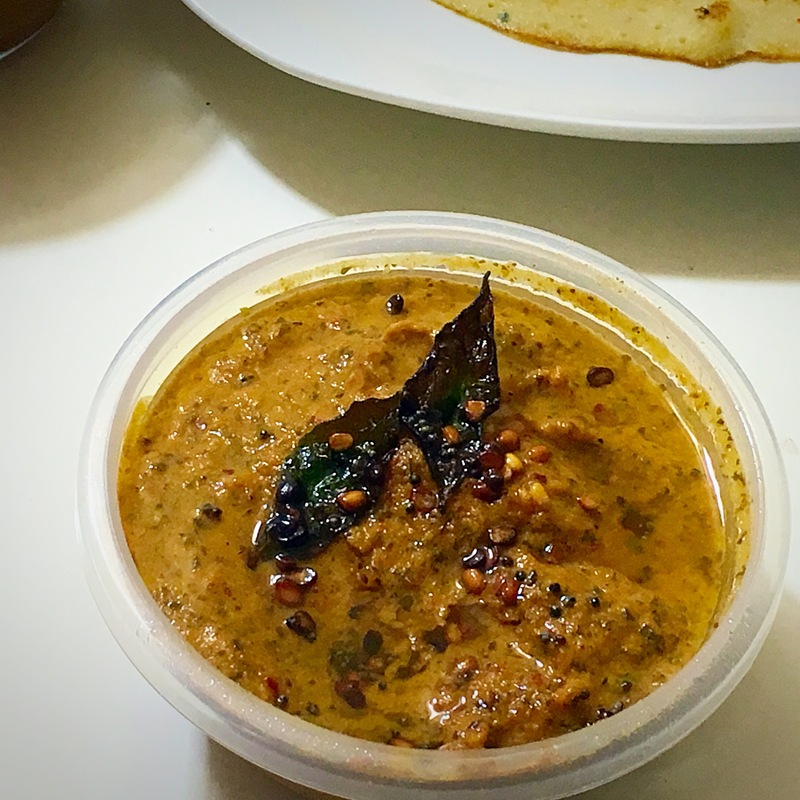 Now heat oil in a small pan add mustard seeds after it splutters add urad dal after turns golden brown add curry leaves and hing to add more flavor. Now transfer the tempering to the chutney and mix well. 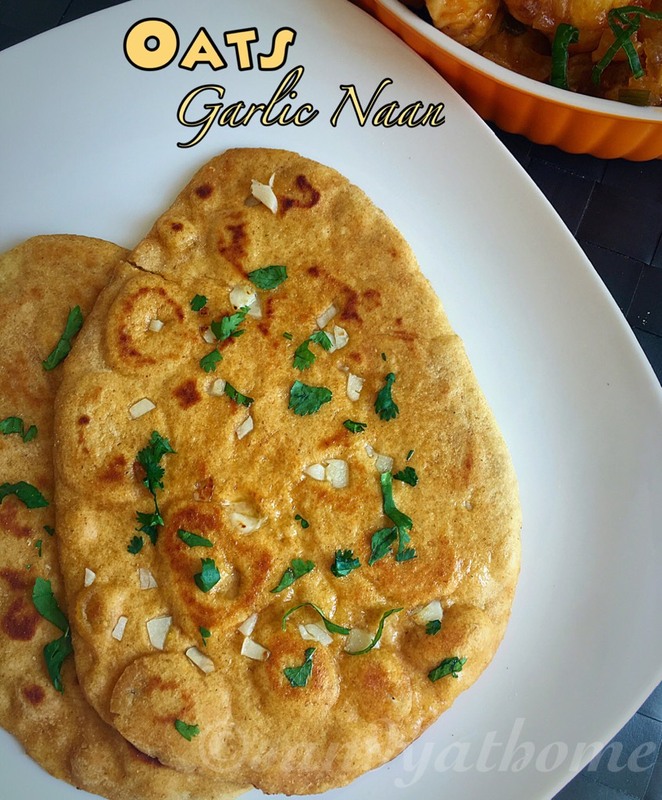 Serve it with rajma dosa, dosa or idli.